For shopping fun, head to Manu Market or Sync Internet Lounge. 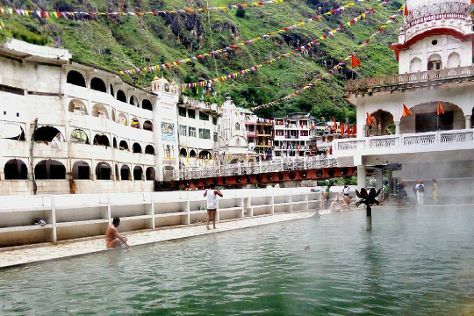 Your cultural itinerary includes sights like Hidimba Devi Temple and Manikaran Gurudwara. Change things up with a short trip to Naggar Castle in Naggar (about 1h 10 min away). The adventure continues: soothe aching muscles at some of the top local wellness centers, contemplate in the serene atmosphere at Anjani Mahadev, hit the slopes at Solang Nullah, and admire the verdant scenery at Solang Valley. For ratings, photos, other places to visit, and other tourist information, read Manali trip planner.